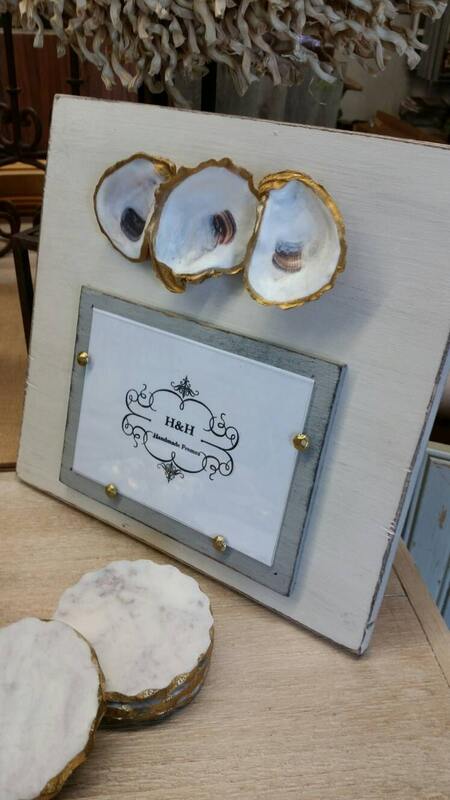 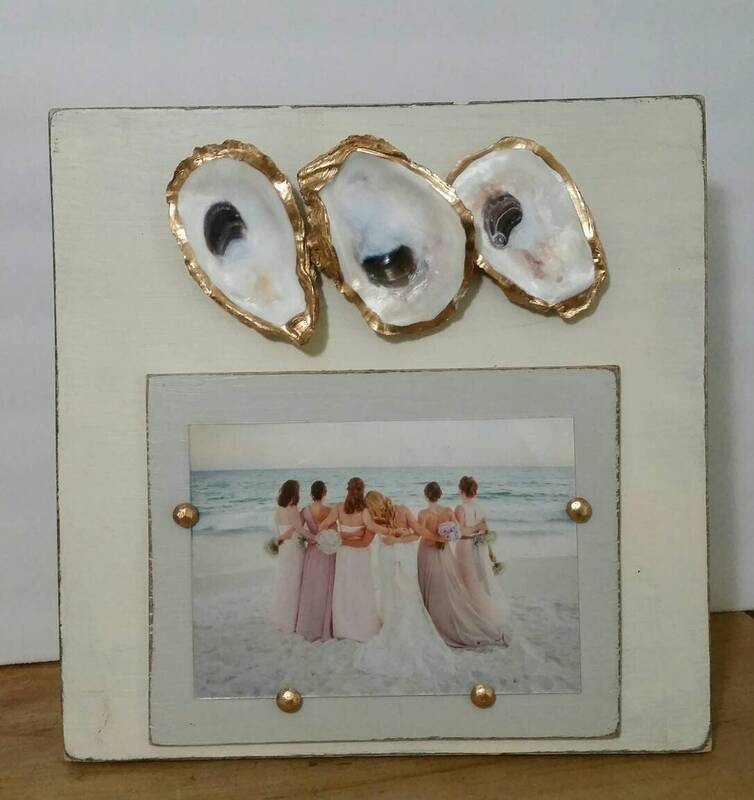 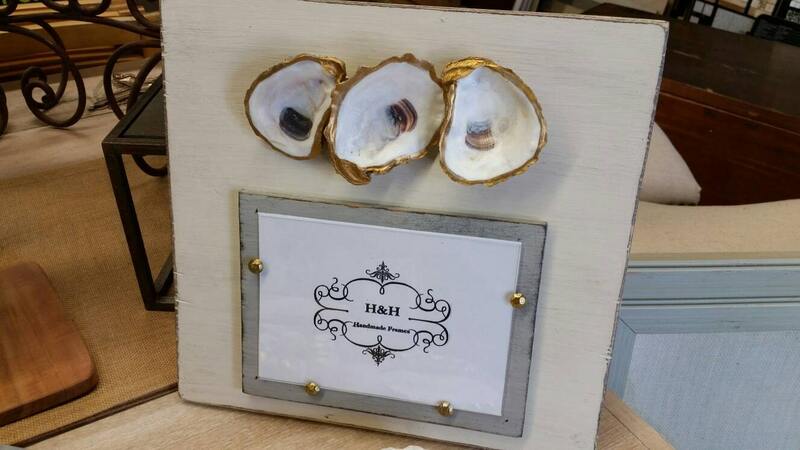 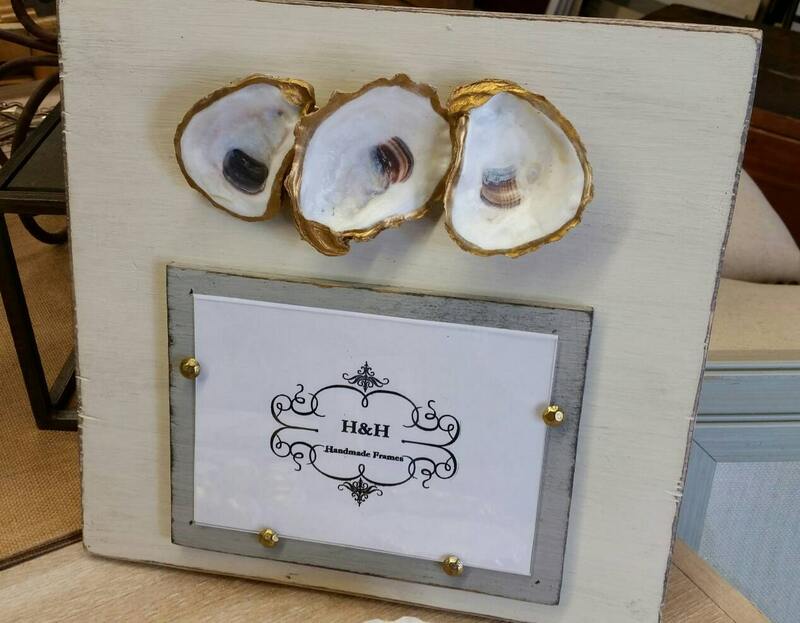 Oysters With Gold Leaf on Handmade Wood Picture Frame - Painted and Distressed Old White - Coastal - Gift - Beach. 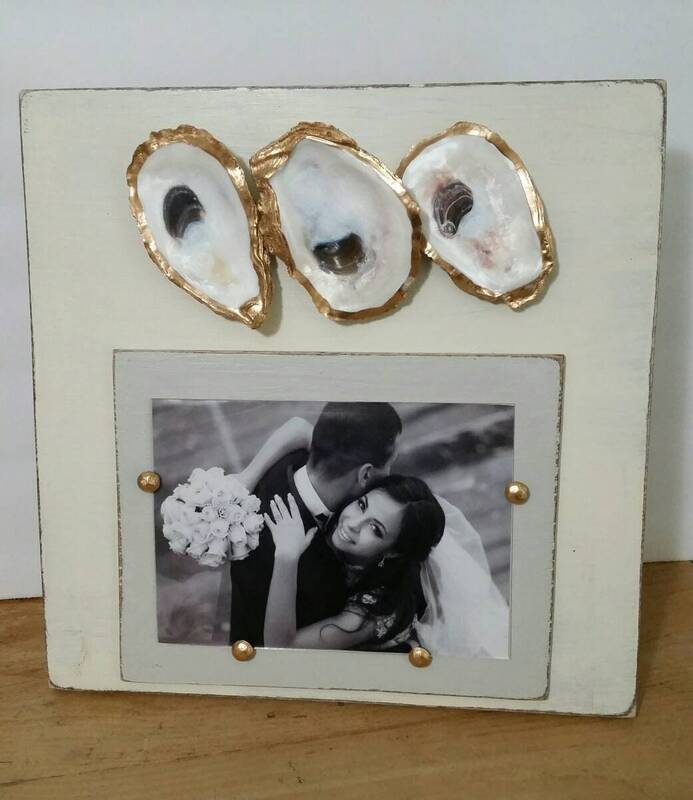 Outside frame dimensions 12"w x 12"ht. 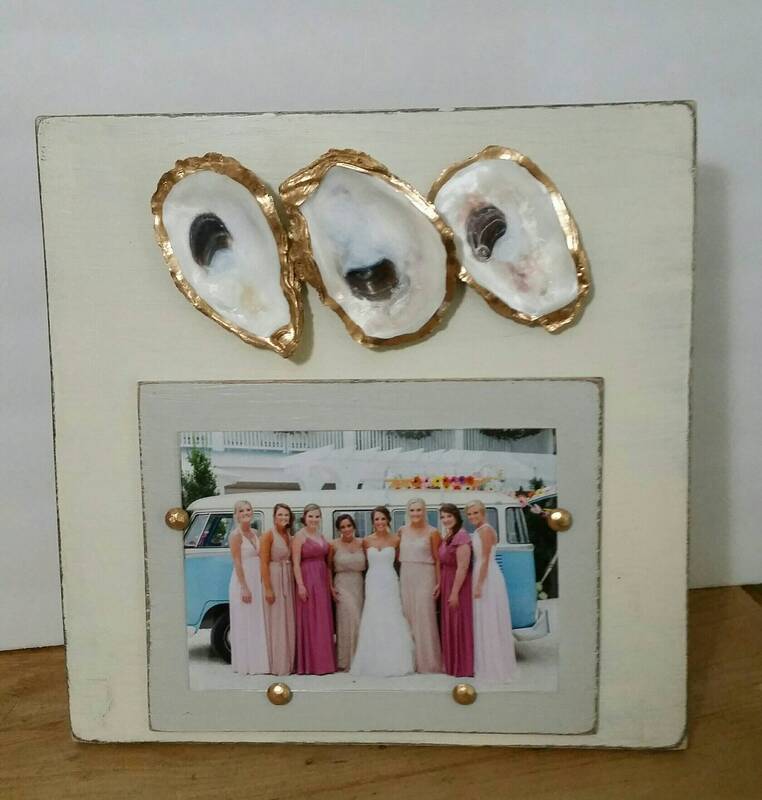 and holds a 5 x 7 picture. 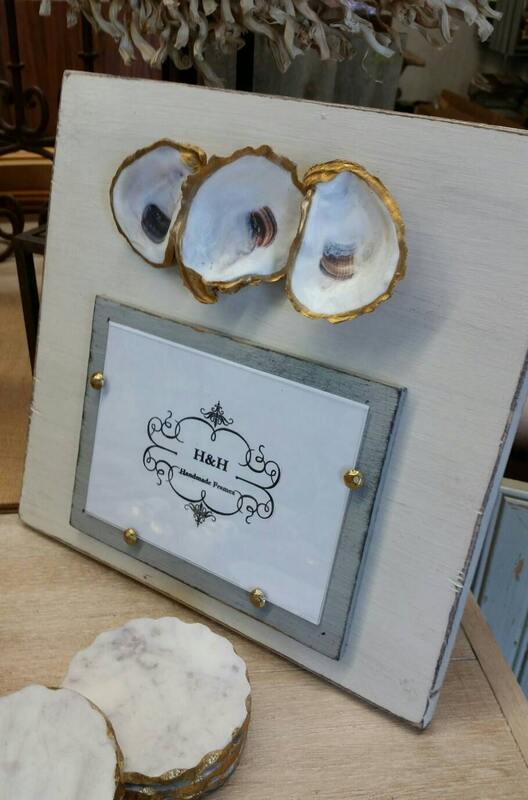 Finish color - Distressed Old White with a Grey wood mat. 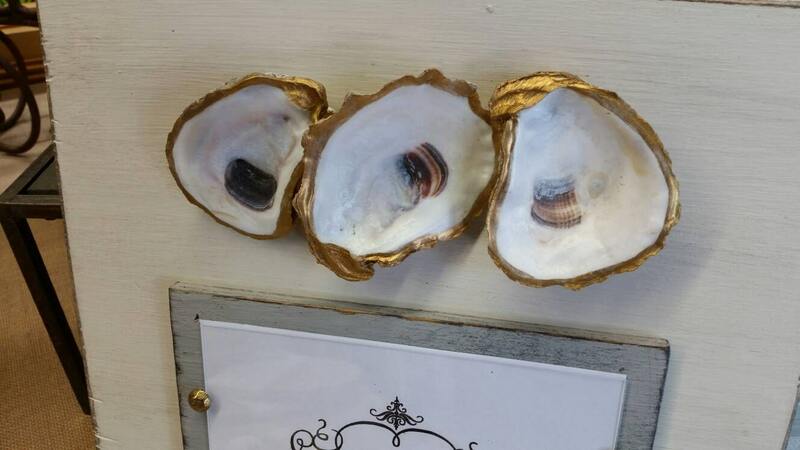 With a three real oyster shells that has been accented with gold leaf along its edge and sealed.